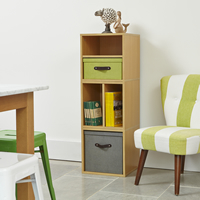 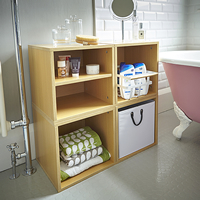 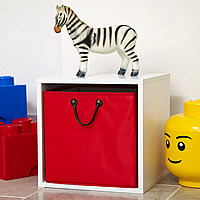 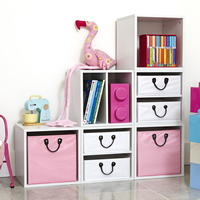 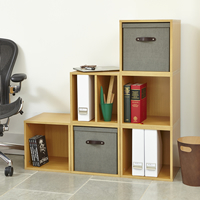 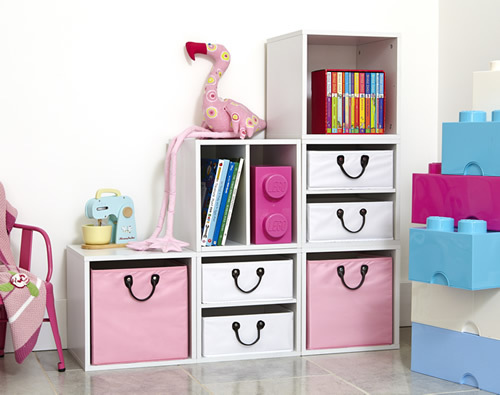 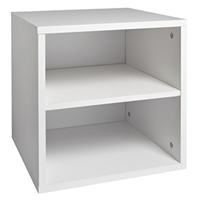 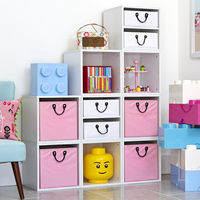 Our set of 6 wooden modular storage cubes are available in either a white or oak finish and will add the finishing touch to any little persons bedroom. 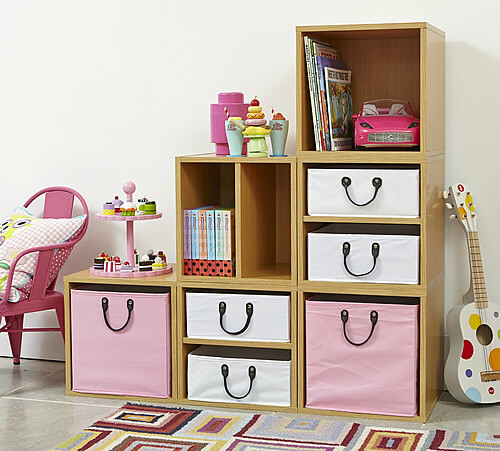 With four small and two large colourful baskets, there's plenty of room for tidying away toys at the end of the day. 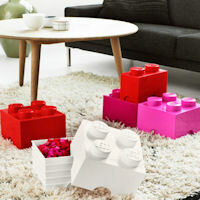 Not just for the kid's, why not use our cubes staggered to make best use of awkward spaces like under the stairs. 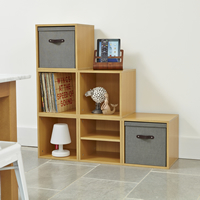 The cubes can be used in the configuration shown above or in an alternative layout depending on the space you have available and should be secured to each other using the fixings provided. 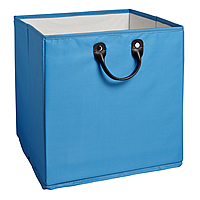 Each basket has a riveted tan handle and is made from a wipeable nylon which has been reinforced to stop bulging and breaking making them great for kid's storage. 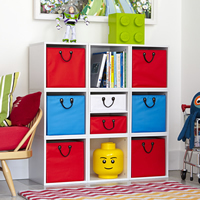 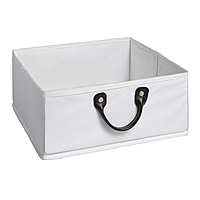 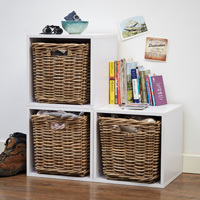 PLEASE NOTE THAT OUR SMALL WHITE HANDBRIDGE STORAGE BASKETS ARE CURRENTLY OUT OF STOCK. 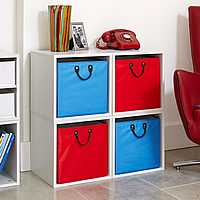 EVERYTHING ELSE ON YOUR ORDER WILL BE DISPATCHED, WITH THESE TO FOLLOW IN MARCH.